If you are experiencing thinning hair, you are not alone. 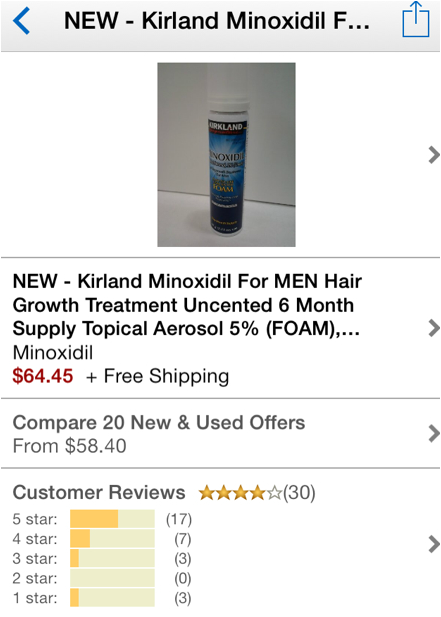 Hormonal changes (peri menopause) and this brand of genetic minoxidil 5% foam isn't oily and even may give hair a little body. Yay!! The 5% says it's for men. They sell 3% for women but most women go with the stronger stuff if you research it. Play it safe & avoid chemicals if nursing or childbearing whether you're a man or woman. Essentially you'll be applying a chemical to your scalp that blocks a chemical produced in your body called DIHYDROTESTOSTERONE.. From what I understand this is what can become of excess testosterone produced by your body and tells the hair follicles to go to sleep, into a dormant phase when shedding increases and less new hair is growing as more follicles enter the androgen phase. Be careful to wash your hands after applying. A side effect I know of that it can increase the peach fuzz on your face. . 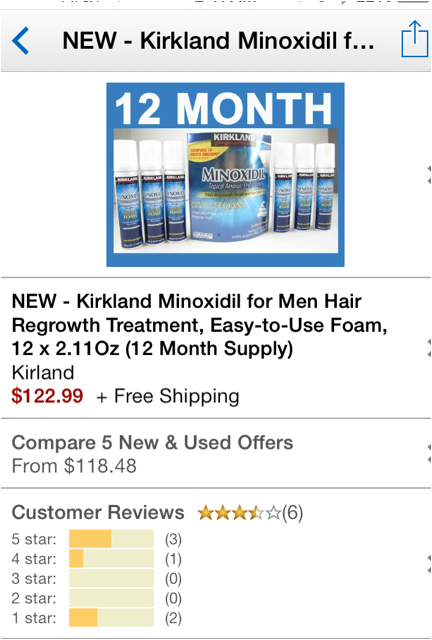 Minoxidil has been around long enough, it's sold over the counter..and seems like common sense to try something rather than let hair follicles die off because if dormant long enough they will lose the blood supply, and that's it. 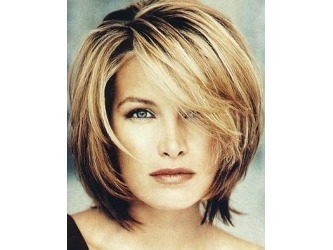 The hair will become thinner, weaker and eventually won't grow back. Each hair strand has it's own individual blood supply… fascinating when you think about it. So this product potentially can work for both men and women. Try it for at least 3 months and take before and after photos to see if you experience less shedding and hopefully fuller, thicker hair. Dr Oz: What Causes Androgenic Alopecia? Dr Oz said that female baldness or Androgenic Alopecia is much different than male pattern baldness. In female balding, you tend to get thinning in your crown – near the part in the center of your hair. What is too much hair loss? Dr Oz said that he starts to worry if you are losing more than 150 hairs per day, because this can be reflective of hormonal changes which can change the density of your hair. Dr Oz said that you should try to catch the problem before it gets too severe, because once you lose so much that you cannot cover up your head, it may be too late. Dr Oz showed an illustration to explain what causes Androgenic Alopecia. During the androgen phase, hair tries to grow, but the androgens poison the well where the hair grows from and so your hair becomes thin and frail. So how do you know if you are losing too much hair? Dr Oz suggested looking in the mirror and measuring the part in your hair with a ruler. If your part is getting wider over months, then you could have a hair thinning problem. Dr Oz: Thinning Hair Treatment #1: Minoxidil Dr Oz said that women should not be embarrassed to use Minoxidil – it is not just for men! 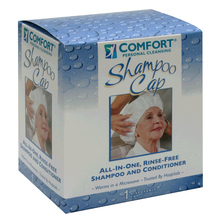 Minoxidil is a topical cream that you rub onto your scalp twice a day. You can but the Over-The-Counter strength of Minoxidil for $30. Dr Oz: Thinning Hair Treatment #2: Black Currant Oil & Primrose Oil Dr Oz said that by taking 500 mg 2 times a day of Black Current Oil or Primrose Oil, you can help to block the Androgens from being made routinely, which helps your hair to continue growing thick and healthy. Dr Oz: Thinning Hair Treatment #3: Soft Bristled Brush Dr Oz said that when your hair is wet, it is delicate like a cashmere sweater and it can get damaged easily. Use a wide tooth comb to brush your hair when it is wet, and when your hair is dry, make sure that you use a soft bristled brush. When do you need extra supplements for your hair? During times of stress and when you have medical issues or notice more than usual hair shedding to name a few. Like skin cells, which renew and are shed daily, the hair follicle also sheds strands of hair. It's in our DNA, and while there are average cycles, our hair strands are programed to be released, so that a new strand will replace it. Think of eyelashes or body hair.. each person has different amounts and length and thicknesses. Hair and nails are the last places to be fed in our bodies and therefore are good indicators to what is going on within us, that is out of the norm. The average shedding of a head of hair is said to be 100 strands a day. Do take into consideration what is normal for you, and that if you wear longer hair the shedding will be more obvious simply due to it's length. If you are at concerned of excess shedding, try taking this supplement. You do not need a prescription. A/G PRO by Miller can be picked up at your local pharmacy. At Walgreens, you'll have to ask the pharmacist as it is kept behind the counter.